On Saturday 21 October 2017, the European Southern Observatory (ESO) will open its doors to the public between 11:00 and 18:00 CEST. 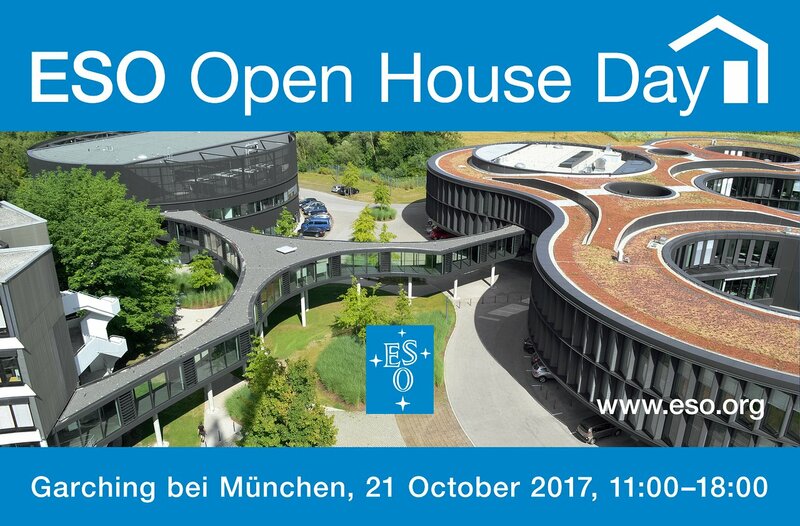 This event is part of the Open House Day activities for the whole Garching research campus and several other local companies. See ESO's Headquarters buildings — participate in guided tours through the innovatively styled office building and technical building. The programme of activities for the day is now available here.